Most mechanical locks need to be taken off the door for the access code to be changed, taking time and causing disruption: with electronic digital locks the access codes can be programmed on the door and in minutes. Electronic keypad locks also offer more choice when it comes to selecting access codes. Mechanical locks can only be programmed with four-digit access codes and each number can only be used once (for example, 1234 or 5678). Electronic locks have the ability to repeat numbers in either a four-, five- or six-digit code, allowing a far greater number of possible code permutations. Standalone electronic locks can also be connected to a building’s alarm system. This will automatically free the lock so the door can be opened without the code in an emergency situation. If you need more control and convenience from the digital locks in your building, then it may be time for you to consider upgrading your mechanical locks. But with so many electronic locks on the market – many with sophisticated features – the task of selecting a replacement can be a daunting one. So to help you, we’ve put together a list of questions that you may find useful before you buy. We hope this will help determine what functions you need the lock to perform and how to make the most of your investment. 1. How will you manage the access permissions? If you manage a large complex of buildings and need to upgrade lots of mechanical locks, then consider how you will manage all the access permissions. Buying electronic keyless locks with accompanying data management software will make it much easier for you to program the locks under your control. For example, you might want to restrict access during certain times of the day or week. You can program time-sensitive access codes using the data management software within minutes, and copy settings from one lock to another. Rather than programming each lock manually at the door, you can use the software and then easily upload the new data to each lock from USB memory. 2. Do you need to monitor door activity? If areas or rooms within your building contain high-value assets that need to be closely controlled, then it may be useful to purchase an electronic keyless lock with audit trail capability. These locks are shipped with data management software, allowing you to closely monitor the door access. To find out exactly who went through the door, and when, simply download and review the door activity data using a USB stick and analyse the data on a computer. As you can give each lock its own unique identification number, it makes it very easy to identify vulnerable areas. The locks register incorrect code attempts, so a high number can suggest the lock is being tampered with. 3. Do you need to generate access codes from a remote location? If you use digital locks to secure equipment or machinery inside cabinets, then it may be useful to buy an electronic cabinet lock with an accompanying web-based application to enable remote access control. This is particularly useful where access is required for routine or one-off maintenance purposes, and authorised personnel need to access the cabinet unaccompanied. Using the application, you can generate a time-sensitive code for an engineer or technician to gain access to the locked cabinet. The code can be sent via an SMS text message or by email to the engineer’s mobile on the day the access is required. Using time-sensitive access codes is a more secure way to grant access, as the code will not work outside a designated timeslot. The software also allows an engineer to request an access code via an inbound SMS message. The code is sent back instantly. This may be useful if urgent access is required or if an unscheduled visit is necessary. 4. Do you need technical support? Before you buy, check that the digital lock manufacturer offers help with installation and programming issues. If you are unfamiliar with electronic digital locks, you may need a little extra help – so make sure the company has a dedicated team of technical support staff that you can call if you need to. 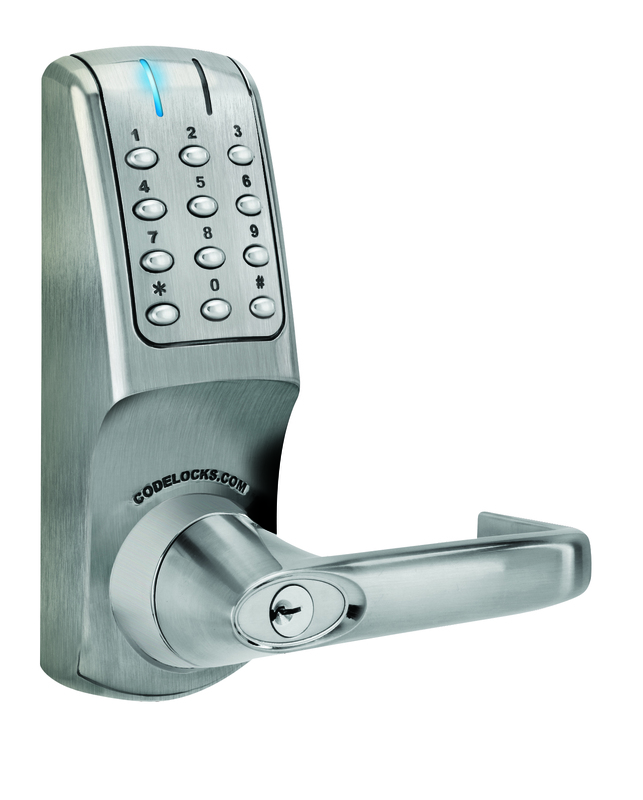 At Codelocks we’ve got a wide range of electronic digital locks for many different applications, including new products with some of the features mentioned above. To find out more visit our website or call us on 0800 393405.